The 2017 Future City regional winners from St. Bede's School in Point Breeze. The school's teams have won 8 of the past 18 competitions, more than any other team. They travel to compete in the national competition in Washington D.C. this weekend. The city of Zumala sits on the Nile Delta. Edible mushrooms feed on plastic waste and plants filter the water for residents and businesses. Suspended tubular trains carry the city’s 300,000 people from place to place, high above the buildings. 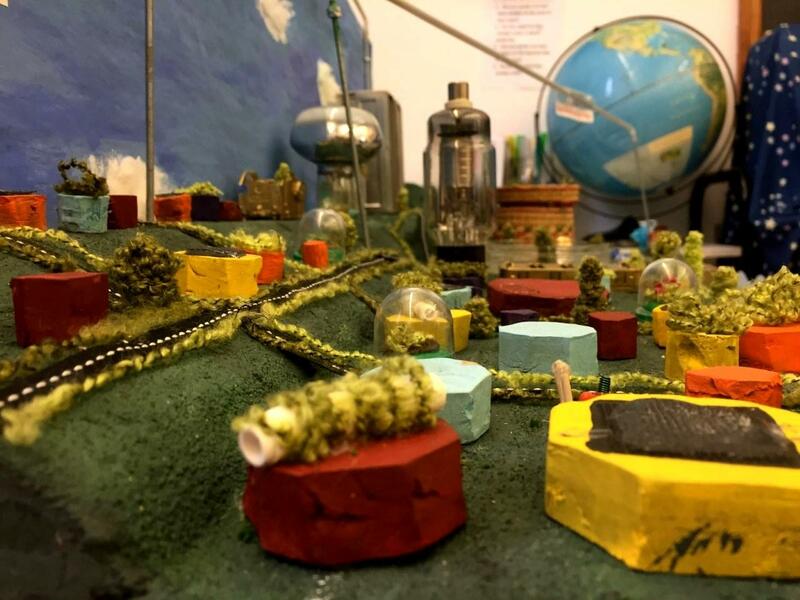 The fictional city cost less than $100 to build and was designed by 10 middle-schoolers. Zumala, which translates to “fellowship” in Arabic, is actually a land created by the all-girl Future City engineering team at St. Bede School in Point Breeze. Zumala, which means "friendship" in Arabic, is a city of 300,000 set in the year 3064 along the Nile Delta. "Suspended tubular trains" hold a banner wishing the Future City competition a happy 25th anniversary on Wednesday, Feb. 8, 2017. The competition begins with the virtual design game, “Sim City.” Teams then write an essay and a project plan, and build a scale model. At the competitions, judges question presenters about the economic and environmental factors, social issues and sustainability affecting the town. St. Bede's, a private Catholic Diocese of Pittsburgh school serving about 300 students ages 3 to eighth grade, has participated for a consecutive 18 years -- every year the regional competition has been held in Pittsburgh. This year’s win over 28 other teams marks eight for the school, more than any other competitor. 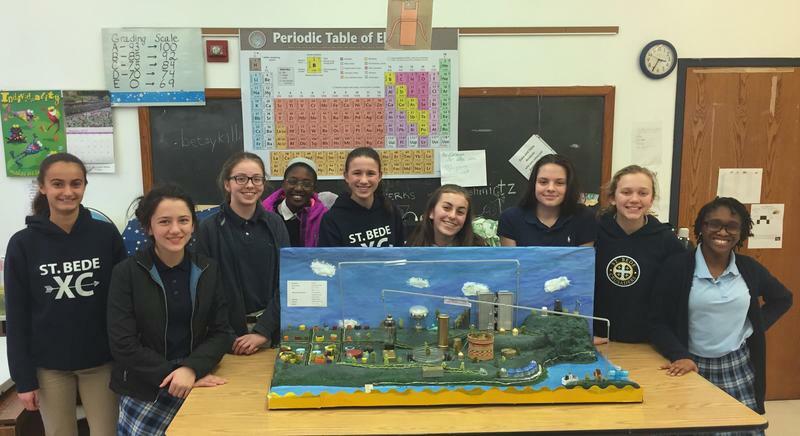 They’ll be attending the national competition this weekend in Washington D.C.
St. Bede's Future City presenters Lindsey Bonavita, Anna Cappella and Gwen Havern practice fielding potential questions from judges on Wednesday, Feb. 8, 2017. Betsy Killmeyer, science teacher at St. Bede’s, has been the Future City adviser that whole time. She said continuity has helped her understand the pace and style of the program. “There is definitely a learning curve for Future City,” Killmeyer said. One thing that’s stayed consistent, she said, is her recruitment strategy. Since the beginning, Killmeyer said she's had the middle school teams talk about their cities with younger students. Before they leave for nationals, St. Bede’s will hold a pep rally for the Future City team. Killmeyer said just as some schools celebrate athletic success, St. Bede’s highlights their academic performers. “Sharing the excitement with the student body, letting people know who may not know yet what Future city is and sort of helping them understand that the girls worked very, very hard,” Killmeyer said. Eighth grader Anna Cappella said seeing her predecessors' projects years ago influenced her to join. Havern, who helps present for the team, said because teachers don’t incentivize the program, team members end up being more dedicated and motivated. Carnegie Science Center's STEM Coordinator Linda Ortenzo said while that’s definitely a factor, she hopes the program’s success inspires other districts to include Future City in to their science, technology, engineering and mathematics classes. 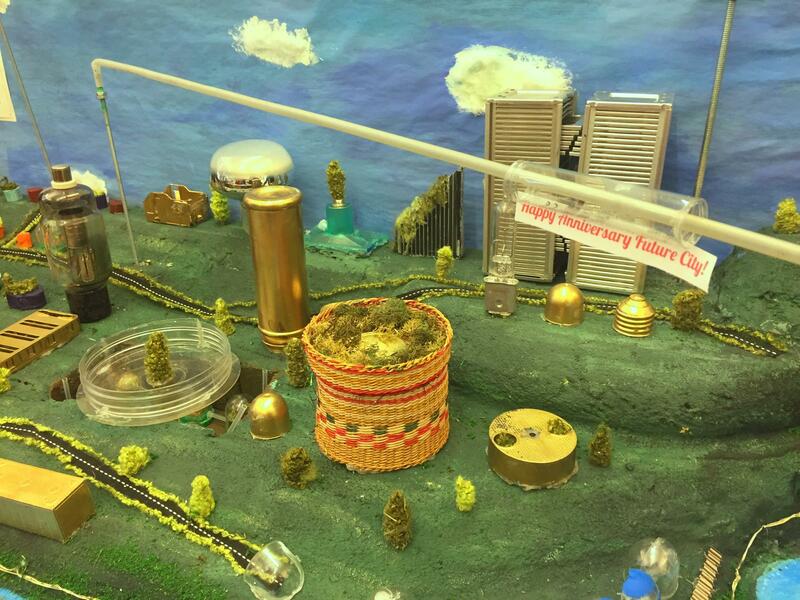 Zumala, St. Bede School's Future City design, features edible mushrooms that eat plastic waste, a highway repurposed as a boardwalk and a health system that includes nerve devices that help people with disabilities heal. Ortenzo said she’s encouraged when she sees her teams made up of mostly girls, especially given the historic shortage of women in the field. According to the National Science Foundation’s 2016 Science and Engineering Indicators, women make up about 29 percent of the STEM workforce. “We’re very happy to have these girls coming in being extremely successful in the competition along with their male counterparts and just showing them that this is a career for them,” Ortenzo said. Carl Schwartz, Future City committee chair, said programs like his help make STEM education tangible at a time when it really matters to students. “They’ve seen what a nurse does by watching TV, they kind of think (they know) what a lawyer does. But what is out there on television that says what an engineer does?” Schwartz said. Brentwood Middle School geography teacher Casey Phillips was scared to take a step forward, lest he fall 64 stories from the top of the U.S. Steel Tower to the street below. Phillips wasn’t really standing atop the building in downtown Pittsburgh, but it felt like he was because of the HTC Vive virtual reality headset he was wearing. 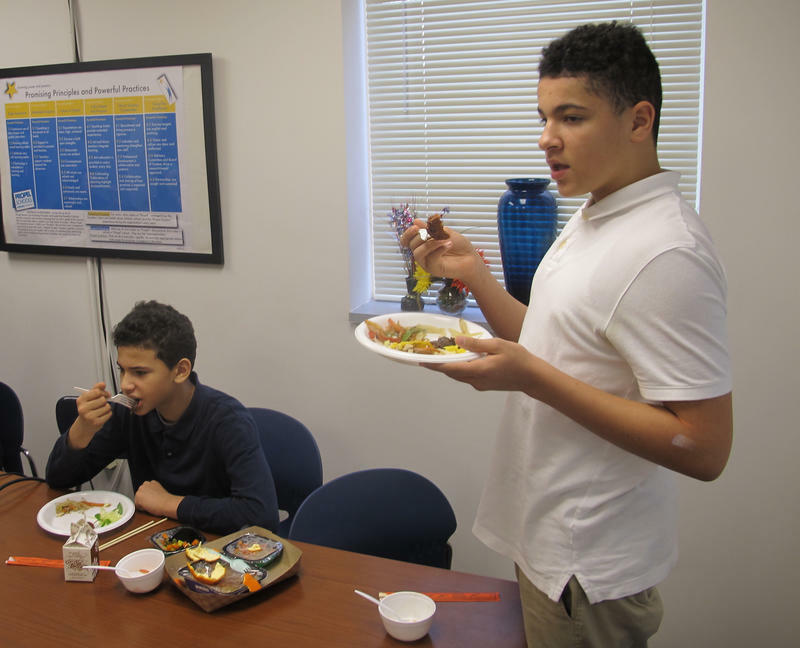 A small group of students at Propel Montour are eating their way around the world this year. It’s not a new cafeteria option, it’s a lesson in inclusion. The idea for the Taste the World program, run by school integration specialist Robyn Doyle, started simply enough. “It stemmed from students just sharing interests in what I was bringing for lunch,” Doyle said. The group meets once a week during lunch hour. Each student had to submit a short essay as to why he or she should be chosen to be part of the group. Before heading to the practice field, Westinghouse High School football players met in a classroom, where Coach Monte Robinson read questions from a notecard about alcohol and sexual violence. He told them to be honest. 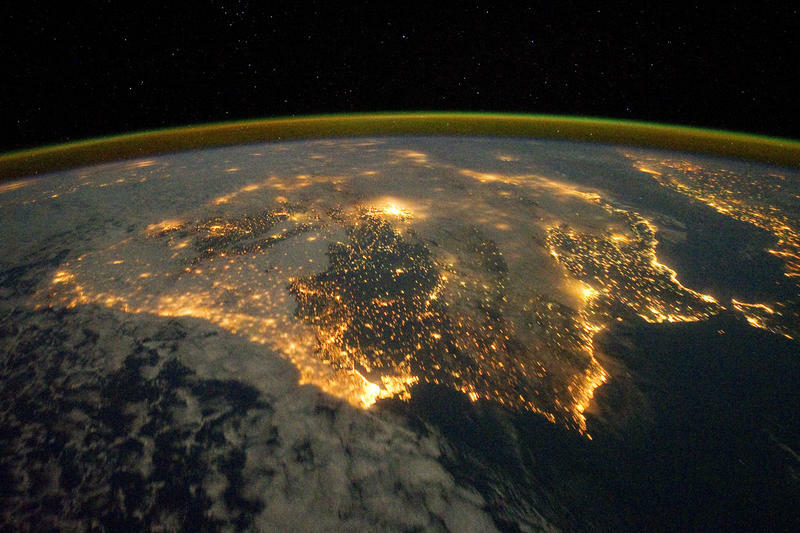 Humans have had a greater impact on the Earth than any other species in history.